The dramatic transmission of cultures, ideas, human populations, diseases, plants, animals and food transformed the life of almost all societies on the Earth. It has made a significant impact on the ecology, agriculture as well as culture in the entire human history. Further, it is important to understand that the reasons are beyond human control, though they may perhaps be understood by delving into the evolutionary histories of the major landmasses or continents. 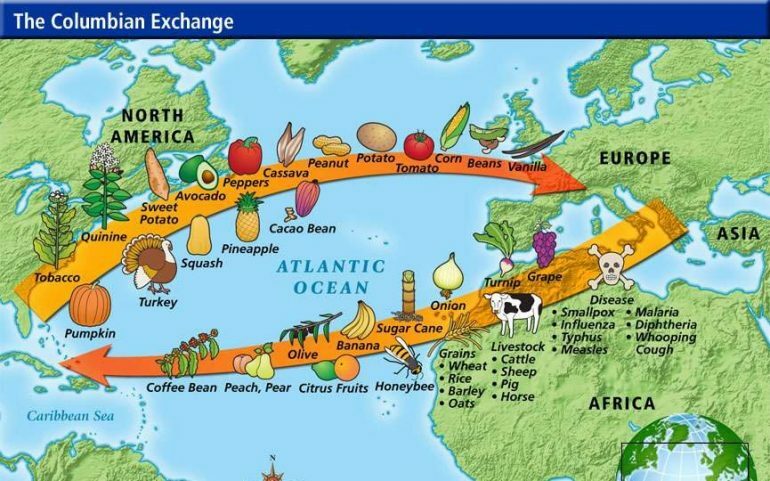 The term ‘Columbian Exchange’ is used to describe the interchange of animals, plants as well as diseases between the eastern hemisphere’s Old World and the western hemisphere’s New World, after Columbus arrived in the Caribbean in the year 1492. 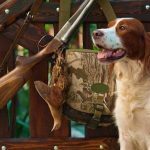 To be more precise, it refers to the exchange of non-native plants, animals and communicable diseases between Europe and the Americas. The term was coined by a historian called Alfred W. Crosby, who authored the book ‘The Columbian Exchange’ in 1972, and is known to be the most significant event of modern history. This event was greatly beneficial for people living in Europe, while it brought about a catastrophe to those living in America. It explains the reason for the collapse of Indian nations and the flourishing of European colonies after Columbus’ voyage in 1492. It also explains why European nations attained a powerful and wealthy status swiftly, while Africans were sold as slaves. Its reasons are rooted in evolutionary histories, and at that time, no one understood the powerful environmental forces which determined the survival and destruction of life. With this widespread exchange, ecology served to determine the destiny of cultures and populations. Small pox epidemics resulted in massive death tolls of Native Americans. It is probable that small pox played a major role in defeating the Incas and Aztecs, rather than the Spanish soldiers. Every society on the earth was affected by this massive exchange. The Europeans introduced new diseases to the Americas, which led to depopulate several cultures, as the natives had no immunity to resist them. It has been estimated that from 1500 to 1650, population losses due to disease ranged from fifty to ninety percent. Simultaneously, circulation of crop varieties and livestock led to increase in population in either region. Maize, tomatoes and potatoes were introduced to Europe and became prominent crops of Eurasia towards the eighteenth century. Likewise, Europeans introduced peanut and manioc to West Africa and Southeast Asia. Overall, there was a far-flung transformation of the lifestyle of people in Europe, America, Africa and Asia. New crops were introduced in several regions and new foods became staples for many households. For instance, by 1000 AD, potatoes were confined to South America. Ireland’s excessive dependency on potatoes led to a Potato Famine, owing to a diseased crop. The introduction of horses to Americas resulted in nomadic lifestyles of American tribes. The Columbian Exchange helps understand most of the changes in the world today with regard to lifestyles, food, diseases and the downfall and flourishing of various cultures and nations.